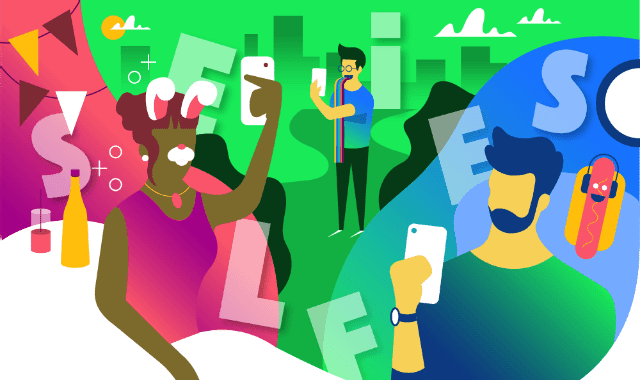 How AR has Changed Selfies Forever #Infographic ~ Visualistan '+g+"
Self-portraits are larger than life now thanks to digital dog ears and flower crowns. Facial recognition software is what powers the hype of Snapchat selfies and yet captures the imagination of entirely different industries. Beyond social media, selfies and facial recognition technology serves a much different purpose. Aside from just being a fun way to share photos and express ourselves, security is a big player as well. As many as one in three European consumers say they would feel more secure using facial recognition instead of PINs or passwords to access their banking account. After all, what's more unique than your face? Apple tackled this with the release of the iPhone X using a detailed scan of a users face to unlock the phone with just a look. Take a look at this infographic from Frames Direct for more on how augmented reality has changed the face of selfies and what’s to come next for the future of entertainment, social media, and even security with the help of AR.